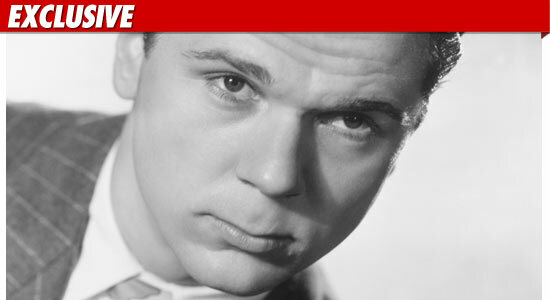 Before he died, Hollywood legend Jackie Cooper wanted to make sure NOBODY challenged his last will and testament ... and to make sure, he wrote in a special provision intended to SCREW anyone who challenges his final wishes. TMZ obtained a copy of Cooper's final will -- filed in L.A. County Superior Court two days after the "Superman" actor passed away last week. According to the docs, Cooper basically willed everything to his wife -- but because she died before him -- the estate will be divided equally between their children. And to prevent the kids from a nasty fight over the money -- Cooper wrote in a clause saying if anyone tries to contest the will, "I give to such persons so contesting or objecting the sum of FIVE DOLLARS ($5.00) and no more." FYI -- provisions to this effect are sometimes referred to as a "poison pill clause" -- because any person who would be dumb enough to challenge the will is killing any chance of getting anything out of the estate.